Once again, Tim Zahn delivers a fun Star Wars adventure in the best tradition of the Original Trilogy films and the Expanded Universe stories featuring those characters and EU favorites from the same era. If you’re looking for something dark and gritty, or heavy on the Force philosophy, or with deranged Sith, then this isn’t the book for you. If you’re looking for a novel that puts the space opera back in Star Wars, then Choices of One should be right up your alley. Before saying anything further, I’ll emphasize that I won’t include any plot spoilers in this review. As with several of Zahn’s other EU offerings, much of the fun in experiencing the novel is trying to figure out how all the plot elements will weave together, what characters’ real motivations are, and how the mysteries will be resolved. With that kind of story, you really have to read it for yourself. As with many of the recent EU offerings from Del Rey, the cover is underwhelming, especially for a hardcover book. A mediocre portrait of Mara slapped together with some stormtroopers hardly does this novel justice. Similarly, the marketing blurb for the book makes it sound like Luke Skywalker is a crucial character in the book. And while he does have his role to play, he’s not even the most heavily featured Rebel (that honor goes to Han Solo) in a book with Mara Jade and the Hand of Judgment as its central protagonists. This book is far cleaner in its editing than other recent releases, but some mistakes did slip by. One character’s name repeatedly alternates between two spellings throughout the course of the book, for example, and there is far too much “grimacing,” which a keen editorial eye would have redlined for some variety in facial expression. Nobody expects perfection, but there’s no reason for simple goofs like these to be slipping through the cracks. We all know first impressions can be very important. Del Rey is making it harder to engage potential new readers because those customers will browse right by the unremarkable front art. Fortunately, Choices of One is a book that outshines the potential suggested by its cover. Without getting into the plot, what can you expect from Choices of One? The flow of the book is classic Zahn: introduce a bunch of elements separately and spend the first half of the book drawing them all together to the same place, followed by a second half of the book that’s nonstop mayhem. As with his prior entries – such as Survivor’s Quest, which has a similar overall structure – this story design is executed flawlessly. And, in a good way, there’s not much else to add. There’s a reason, after all, that Zahn has been able to sustain his place as one of the fan favorite EU authors for so long. He knows how to design a really great Star Wars yarn, and he always carries it off well. One neat advantage that Choices of One has over some of his previous work, though, is its ability to make connections with other material. Since it was first announced, Choices of One has been described as a sequel to Allegiance, and that is certainly accurate. If you liked Allegiance, you’ll like Choices of One too. There are lots of references back to A New Hope and forward to The Empire Strikes Back and Return of the Jedi. There are even more little winks to Zahn’s other stories, such as Thrawn’s true assignment and role in the Unknown Regions and his place within Imperial politics, some references forward and backward in the life of Jorj Car’das, and a cameo by Voss Parck. Nothing is lost for readers who don’t get the references; they’re just background detail. But for fans who do, these moments are sure to bring a smile, chuckle, or knowing nod of the head. Choices of One also displays Zahn’s mastery of the characterization of the Original Trilogy characters in that era, and his deft hand at creating Expanded Universe characters who feel like they’ve always been there alongside the familiar faces. Of the Big Three, Han has the biggest role in this book. Of course we see his charm and wit, but we also get to see the cleverness and creativity that makes him shine as far more than just your everyday smuggler. We also see his heart of gold: the conscience pushing him along the path to a begrudging turn to the rehabilitated side. Leia doesn’t have a significant part in the book, but she steals many of the scenes she’s in and is very much the take-charge Princess we remember. Luke Skywalker is earnest but not naïve, still desiring to become a Jedi but fully aware of his own limitations and the sparse extent of his training in the ways of the Force. We also see him display the moral compass and passion for justice that help him become a great Jedi in the years to come. Other movie characters also have some fun face time in the book. With Chewbacca long dead in the ongoing flagship storyline, it’s wonderful to see his interactions with Han. And unlike the random supporting roles the Wookiee often played in earlier novels, Zahn actually writes Chewie as a trusted friend and partner, and includes him in scenes where his presence actually makes sense for the contribution he can provide, instead of just hanging around Han. Finally, Darth Vader and the Emperor have brief (separate) appearances in the novel, and they’re both the chilling figures from the big screen. When it comes to his own characters, Zahn again delivers great portrayals. The stormtrooper deserters from Allegiance, now operating as the Hand of Judgment, shine in their own unique personalities just as we remember from that book. Thrawn is the master tactician, three moves ahead of everyone else in the game, and Pellaeon is a smart man making his way in the sometimes dangerous realm of the Imperial Navy. Mara Jade, the young Emperor’s Hand, is the real star of the EU characters, though. Her faith in the Emperor and the Empire is strong and untainted at this point in time, yet we also see the traits in her that lead her to the life she later chooses. We see her conscience and moral compass in the decisions she makes and her willingness to change her mind in the face of new information. She kills, but not unnecessarily; the stormtrooper LaRone notices that she avoids killing innocents. The seeds of wisdom are present as well, in the ways she changes priorities in her mission when she begins to figure out who the real threats and enemies in the Poln system are. With so many fans disillusioned by the characterizations of various characters in recent years, it’s refreshing to read an EU novel that just gets it right in the way the characters think and act. 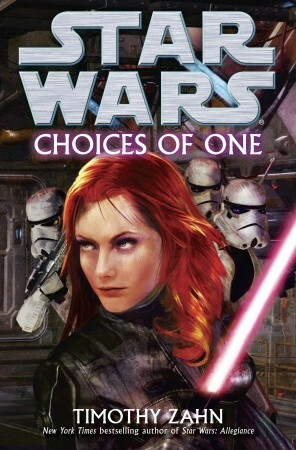 Choices of One is a great fun Star Wars novel. For fans attuned to the more subtle details of the story, the familiar elements of Zahn’s perspective on the nature of the Star Wars galaxy will be noticeable. For example, as in his prior books Zahn has a particular take on the nature of the Empire, emphasizing that many good people serve it and believe in its goals, even as it also rots from within under the influence of greed, corruption, and evil deeds. He also keeps his fleet battles small and manageable, and portrays a galaxy where a single Imperial Star Destroyer or a handful of Imperial stormtroopers are a power to be reckoned with compared to outlaws or local planetary forces. Zahn also makes use of the Unknown Regions, another aspect missed by many fans in other recent books. 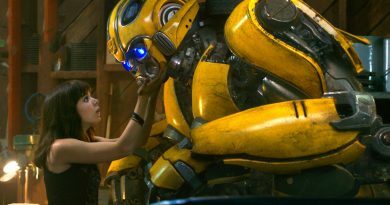 The book doesn’t feature many female characters, but that’s largely a function of the context of the story and the relevant preexisting elements of Star Wars. The Original Trilogy, after all, shows no women in the Imperial fleet or stormtrooper corps, and few in the Rebel leadership, either. But with the female characters who do appear, Zahn more than does them justice. Leia is spot on to her movie era self, and Mara is a younger, not-yet-disillusioned version of the character who became an instant hit with fans when she first appeared in Heir to the Empire twenty years ago. When it comes to writing stories Star Wars fangirls like to read, Zahn certainly hasn’t lost his touch. Choices of One has Luke, Han, and Leia with the Rebel Alliance, Mara Jade, Thrawn, Pellaeon, Vader, and the Emperor with the Empire, plus a dangerous warlord, mysterious aliens, and a plot that keeps you guessing until the end. How can you argue with that?